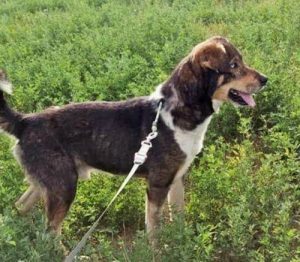 Blue is a stunningly beautiful, medium to large sized crossbreed boy. His passport states him to be 10 years old but Safe Rescue believe him to be nearer to 7. 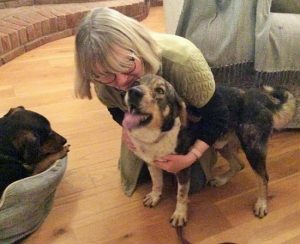 He was rescued in Romania and kept safe there for the past few months, until they were able to bring him to his current foster home in Norfolk. Blue is simply a superstar! He’s extremely affectionate and so grateful for all the positives in his life now. 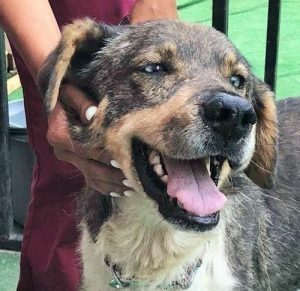 Blue can become overwhelmed if introduced to too many people, too soon and needs slower introductions to any people he is to mix with regularly. 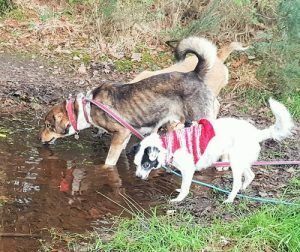 He adores his walks and mixes well with other dogs. 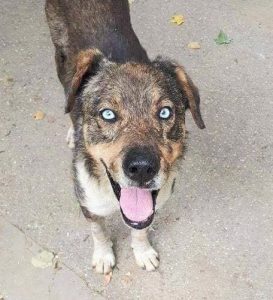 Blue has a lot of husky in him and does have husky traits, so Safe Rescue would love to hear from anyone with husky experience, who will understand him easily. 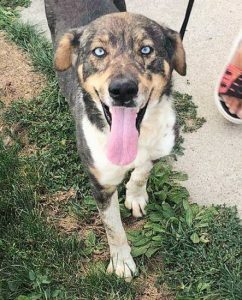 Blue is not a fan of cats and needs an adult only home. He is rather skinny and battle scarred from the trials of his past but can be the most affectionate and loving boy you’d ever care to meet. To message them through their Facebook page click here. Please say you saw Blue on the Oldies Club website.